We are sorry for the loss of Joe. Let him live on in our work, and play. Many things arise from your considering him, some deep theoretical things good for their own sake as well as for the practice of trying to help one another. You say: “We have it reversed. It is not the self that needs to die, it is the I… our false self, the mask.” We Jungians are grooving here, because you’re getting at what he calls the “persona” and its relation to the “ego.” Then you cite Eckhart. Here’s the thing: one often suspects that suicide is related symbolically to the sacrifice involved in penance that leads to the mystery of rebirth. That is why the teaching that is forbidden is so important: When the soul comes to this place, and looks up to the Most High, it can find forgiveness, and enter the sacrifice symbolically rather than literally. Suicide, then, is, in some kinds, a literalization of the self sacrifice involved in the mystery of baptism. This is as in Paul’s Letter to the Romans, Chapter 6: [read this:1-14…] So, it is the “old self,” which includes the persona, but is a bit deeper: the cause of the persona, our self-interested or appetitive nature. When we realize that we are indeed not fit to be in the Presence, but that we are forgiven if we ask, we are able to stand naked before the Lord, and enter the pool. The sacrament has an invisible meaning. The nature of the soul bears witness to the truth of the Christ. We wear a mask when we consider ourselves, because the law convicts us, of sin in general as well as in particular. “Original sin” refers to this Old Adam nature and the division between law and sin that leaves the soul under a painful strain, the very strain relieved by drugs. (We like the old home remedies like a beer or wine in the evening, if one can avoid addiction, and note that there is a reason that people smoke.) But the impulse to this, the birth of the true self, leads some to think and imagine literally hurting and killing themselves, which we should not literally do. This is the image of God in man, and so we die and are raised with the Christ, and without the Way, would not on our own be able. So with prayer “the spirit intercedes” (Romans 8:26). But the image of god in man is also what is born, and is the cause of the law of Noah at Genesis 9:6, the reason for the law against murder as well as for the law against adultery, or the laws governing both anger and lust: “since God made man in his image…” The same is the stone, and the basis of any true psychology, our access to “metaphysics” and the archetype of the political regimes, it is what the legislators look to in legislating. Its fulfillment is the crown, the royal virtue of one able to govern man with the intention to cure. But as for the contrast between friendship and professional help, some interesting questions arise here. We need a footnote to Pete Townshend’s Quadrophenia, “The Doctor,” and to the character of the Doctor in Shakespeare’s King Lear. The kind of professional help that prescribes “Zoloft” et al, after a fifteen minute interview, and perhaps “Abilify” after a follow up, gaining certain benefits from the manufacturer, this is like an abomination to the “profession.” Because, oh, we are trying to imitate the hard sciences of chemistry and biology, we assume that all human things have biological, or chemical, or behavioristic, or economic or physical or sociobiological or neurological causes? A true friend might rather proscribe the non-toxic, if mildly addictive organic marijuana, and share some beer and a pizza, as send one there for “professional” help! Depression has a psychological function: it aims at change, because something is not right. If we dull the depression with drugs, do we not frustrate nature in our souls? And are these druggings related to an increase in violent episodes or public crises? No one has commissioned such a study? A true profession is like a trade, based on knowledge. Show us then the knowledge of man! And the way across the water! Professionals help by providing objectivity that is outside of friendship while at the same time being a friend considering the odd circumstance of “therapy.” They also have experience, and may have refined common sense, as well as the authority to keep people safe in a crisis. But while more public help is needed, psychiatry must be more humble, or more honest about its ignorance. Its function is first practical, to keep people safe and provide a place to heal, as in the true meaning of “asylum.” Not a lobotomy, as for Rose Kennedy, to make her stop talking so inconveniently. But the function of the psychiatric profession is unlike the rest of medicine because we do not have knowledge of the soul the way that physicians have a science of the body. The royal knowledge eludes us, though we can appeal to it, and try our best. I am now trying to study David, who played the lyre to make Saul well when the latter was in bad spirits. Our dreams may help us because the soul itself contains knowledge. For some, the liberal arts can fill the radical emptiness of the soul in the modern world, and the integration of knowledge from the unconscious counters the splitting of the “phrene” called “schizophrenia.” In this sense virtue is the health of the soul, virtue is knowledge or wisdom, and virtue also is happiness in the fullest sense, the first principle of the true psychology. I am a survivor too. I attempted suicide twice, when I was very young, but I remember actually feeling suicidal as young as age six. After the second attempt, I decided I obviously could not even do that right, and in an attempt to prevent failing again, I chose not to try again. But I lived to survive my closest brother’s suicide. He was two years older than I, and at one time when we were in our early thirties, he told me he believed our bond was unbreakable; that we shared a soul. He’d had drug and alcohol problems all his life, and everyone who knew him knew that eventually, he would take his own life. We assumed he would OD, which would have left us room to believe, if we so chose, that he simply made a mistake and took too much of whatever killed him. In 1998, he came to live with me. He was clean and sober, and such a joy to be around. He’d been that way for quite some time. And then one night he went with a friend to a Violent Femmes concert and never really came back to me. His body did, but he was using again. I lived in an apartment building; I had neighbors beside me and upstairs. In a drunken stupor one day I watched him light a cigarette, drop it on the floor, light another… drop it, and repeat that over and over. If I’d lived alone, I would have let him stay; I would have given him another chance. Instead, I had him physically removed from my home. I still remember his eyes pleading with me the last time I saw him. Please, he said. Just give me one more chance. But I could not risk the lives of innocent neighbors. He left me a letter when he left. Told me he still believed in that shared soul; that I’d done the right thing and never to blame myself. And he headed cross country where six months later, in a borrowed camper and a stolen sawed-off shotgun, he ended his life. He left no room for us to believe it was an accident. Sixteen years later, I still wonder what would have happened, had I given him just one more chance. He took from me not only my precious brother but the best friend I’d have turned to in a time of grief. He took half my soul. Or so I thought. Eventually, I realized that my soul was scarred, and the wounds rip wide open again at times (like now) but it is intact. In fact, I think he left that “other half” with me. I see things like I never saw them before his death. I interpret, I feel, I survive each and every day. Oh My god. This is heartbreaking. It Is So Similar To Joe And My story. So sad to read. We have to end this. There are so many more going through this today. His body came back to you but he never did. Wow. Poetic and sad and I know true. Sharing of one soul I’d exactly how I feel about my brother. He told you goodbye in his own way. Reading this all again, after all this time. I don’t think I saw your comment previously, or I’d have replied then. I agree; our stories are more similar than not. Other than one thing: I am female. What Jim saw was that I was the strong one, because I could ask for help. I really didn’t, though. I hid behind a mask of my own. Jim often told me that the times he felt the best were when he was in jail. When he’d had a chance to sober up and get his head together. Looking back now, I wonder if that’s because he didn’t have to keep the mask on, in jail. See, he had a record, too. Breaking and entering,(never stole anything; just broke into an abandoned building), contributing to the delinquency of a minor (who was three months younger than he,) and DWI. He lost his license for life, and took it seriously, unlike some others I know who continued to drive after a DWI or DUI, and continued to drive drunk. Jim did not. He cared too much about others. It was not unlike him to simply stop by with a gift for me, out of the blue. He was also the only person who knew he could call me any time, day or night, and I would be there. Sometimes those calls were desperate. Sometimes he was just bored, sitting by a phone booth in a truck stop somewhere at 1 a.m. and decided to pass the time chatting with his little sister. There is a side to this which you may have touched on, but not in the same words I’ve always used, and I want to bring it out because so many people don’t understand it. People say “I should have done more for him” or “I should have loved him more.” as if that would have changed things. It wouldn’t have. In fact, I think this was something only I understood about Jim. I’ve always said he felt guilty for being so loved, because he felt unworthy of it. The reason I said this was because it was how I felt. I felt people saw the mask and loved the mask, and not the girl behind it. They may have loved her too; we will never know. What I do know is that Jim was the only person in the world who did not love Jim. He was charismatic, sweet and generous to a fault. The girls he dated in high school still love him. (He would have turned 60 in January.) He loved no one casually. It was either passionately, or not at all. And this included his love for me. He would have laid down his life for anyone… even for our abusers. But I was different, because I knew the real Jim. I knew the tortured soul inside. When he left us, I know that he did so fully believing it was the best thing for everyone. He couldn’t carry the guilt, any more. Guilt for what? For being loved. Because he hurt people all through his life, with his addictions driving his behavior. He abandoned people. He emotionally abandoned people. And then he felt too guilty to go back, for fear he’d just do it again. So when he held that gun to his throat (the coroner described it as “the most thorough suicide” he’d ever seen, he did so because, even though he knew it would hurt us again, it would be the last time he could hurt us. He was wrong. It has been 18 years this month, and it still tears me apart. I can’t imagine that will ever stop. Don’t let guilt destroy you. You were very concerned about your daughter and those strange men. Imagine how you would have felt if anything had happened to her? So you were being responsible. I do not think people generally understand the enormous trauma which has happened to us being divided from our own natures, and the natural world! But that is what is happening. Many people made to think of themselves reduced to consumer-robots without free will. if THIS is not the roots of dis-ease I don’t know what is!! Previous to this, and which is part OF the insanity was the religious indoctrination of a ‘soul born in sin’ into a ‘fallen nature’ brought about ny our first ancestor’s sin against ‘God’. You are right we are divided from our true nature. Who we are is told to be hidden. This is the result of all of that. Hi! Try Lao Tzu, the Tao te Ching, 81 short poems. Also, Plato’s Euthyphro and Apology and Meno. These are very easy to read compared to mod psych lingo. The highest writers, like St. John in his gospel, suddenly become very simple, like Lao Tzu. Jung is pretty hard to criticize, (but it is possible). Christianity has a false appearance in the world, which people accidentally hate. Original sin? Penance is deeper than deeds or particular actions. Therefore….See Plato’s Meno. It is a sin to strike the image of God that is man, and this includes ourselves, because we did not make ourselves and do not own ourselves. Socrates says it’s like if one of your servants ran away from his service, how would the owner feel (slavery was different then, not so race based, etc. Nor is jung race stuff, though people misunderstand the collective psyche stuff, so perhaps to these we should not speak openly.) So, Socrates’ point is that our lives have a purpose beyond ourselves, and in fact, for ourselves, it is sort of neutral whether we continue, especially a very painful life. “The un-examined life is not worth living” is a Socratic saying, and a lot of our psychological agony is a natural impulse to lead an examined life. We goofy people are at least awake or awakening, if we can be calm and careful! But it is not about ourselves or serving our own comfort, but serving God by tending the garden, eh?, like Adam was placed in the garden “To till and keep it.” Again people do not read Genesis because of the appearance in the world made by people who use God for their own authority and gain, but also never read it very carefully. Like we want God to serve us, rather than us serve God! “Oh gimmie a Mercedes Benz!” Don’t believe me, believe Ian Anderson of Jethro Tull, side two of Aqualung! Careful reading is very hard, takes longer than our whole lives, but is most worthwhile. Try it! And yes, question, question question. With people on the edge, it is important to remind of our purpose. I even take care of myself for my cats, because if I died, say, got plugged on the highway, who would open the cat food cans? Like the message to Scroodge in a Christmas Carol, he is shown what would happen to Cratchet’s kid if he does not change. This is real. God is not a willful puppeteer of the universe to be blamed for malice and misfortune. That guy is more like Zeus painted with Biblical images. Again, read, (here Luke 13:1-5; the word will is not in the Greek at “not a sparrow falls to the ground…but is a mis-translation, based on a misunderstanding. It just says “without your Father”, i.e., his presence).” We have to do it, and the whole world might even be so that we learn to till and keep it, the Garden of the Lord that we do not own, and again, did not make. Peace-Love and blessings to you! Please read this.. the stigma has to be removed : sharing in the pain is way more helpful than thinking it’ll all go away if we don’t look at it. A remarkable person is Joe! A commendable person you are! Today’s society is in general selfish, unfeeling, and greedy, so with that where people cry out for help very few hear them. At times you can be surrounded by so many people yet you cannot talk to them for being judged, or gossipped about, which does not help! You are so interesting to read with good topics. I’m so so sorry for your loss. This hit close to home. What a moving and powerful post! Amen! Have you heard of the “always keep fighting” campaign? They’re doing great things and earning lots of money towards organizations such as to write love on her arms. RIP Jason Lovell, who drowned himself after being told by Humboldt State University Counselling and Psychological services that he had used up his eight allotted counselling sessions. Oh my, this blog rocked me to the core of my soul. Thank you for waking me up , even just for today. This is a fine tribute to Joe. May it help something worthwhile grow out of his loss. This is amazing writing. I was not expecting to be moved so deeply. I have survived (or backed away from) several suicide attempts. For something so serious and dangerous, it is shocking how unwilling people/professionals are to talk about it. This post made me think about how we are losing some of our kindest people by denying the painful truth of suicide. Not talking about it doesn’t make it go away. It only leaves the sufferer to deal with it on their own. The health services failed your friend. My heart reaches out to you and your family. May I post this and a link to your site on my blog? a deeply moving and honest post . thank you. A brave and courageous piece. It’s something I’m not afraid to talk about. I am a survivor but I know it is something that will remain with me forever. I do know that the more we speak out about it, the more that others will feel encouraged to have a voice. I know that some medical staff treat suicide attempts as time-wasting, attention seeking efforts but these are real people with real needs and they deserve time and understanding. Mental Health is fragile and treated like a bad smell by far to many…it is real and is happening right now as I type this comment. My guess is that both you and Joe are empathic. Not only that, but probably quite spiritual in a non-religious way as well. This is an advanced state of consciousness. It will take the world a bit to catch up. This is a very insightful and very personal exploration of suicide and the diversity in how people are labelled and treated in society. I so agree with the mask that can be acceptable until its not. “Society” has too much say in what is acceptable and doesn’t see enough of the consequences. I am sincerely and without reservation so very sorry. I have four sons. The one thing that I have tried to impress upon people is that young men and teens are no less tender and angsty than girls but it is not accepted or acknowledged that they too go through the emotional struggles that young women do. 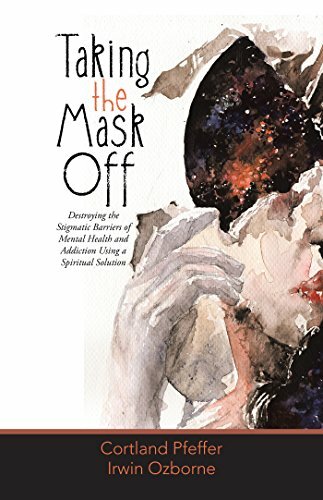 All you stated is true about acceptance, the masks we, as societal beings, are forced to wear and the fact that inauthenticity has such a devastating impact on sensitive people, both male and female. Glad you wrote this! It needs to be talked about openly in our society so we may learn how to respond to and support one another. Beautifully written. Speaks the truth of the reality that needs to come out into the open. Please read and understand. Don’t just judge. Thank you. My mother suffered from manic depression for nearly 20 years. Afetr marriage, my family assumed that her behavior was part of her character. Even I only realized her problem when I was in the tenth grade. But, her mask would be taken off every time she screamed at me as I was about to leave for college but asked me if I had picked up my lunch. Her deep and possessive love for me shone through during every episode. I owe her so much. Sad to know about it. I know few folks similar to joe who are much more concerned about other’s happiness knowing that their happiness lies in other’s happiness. Money or worldly comfort is not important to them but the love of their closed one’s matters to them the most. Sometimes Seeing their friend circle makes us imagine how come someone so pure has surrounded himself from all those goons and crabs. RIP Joe. Stay Blessed. I hope anthony is doing fine and concerned that in this run of life he doesn’t forgets the affections his father had for him and the love, Joe lighted in his heart shall always be bright. Its nice to share feelings it gets you lighten. Me, Even I wanted to share the feelings which my mask doesn’t permits to share but i am denying it for now as i collected few guts while reading through your feelings above. Sometimes i do not want myself to be known Neither i want to know anybody. Sometimes i would like to be with people be as happy as they are but something stops me. I guess that’s my MASK Which is stopping me from being happy. Since i have always assume myself to be a person who was misunderstood, Maybe i also could have done all those stunts in childhood if someone would have showed some support. Maybe i would have been in the default human state of joy and happiness if i would have raised that way. Maybe i would have not been in isolation if i would have found someone whom i can rely on. People nowadays, they expect you to be smart, be proactive they cant tolerate you being slow, dumb. you cannot use your heart …instead you have to use your mind every time you make a decision. Seemed to me my all senses were junked but for now i got few small holes in it. These all words are coming from these holes. I Could have leaded In a journey to find myself again but in this world (the world which i saw) they do not need boring, emotional, weak instead they will prefer exaggerating, tough and cold heart. that’s why most of the people are losing their own selves in order to come level with the society and streets. Some of them like me might have already forgot how it was used to be when were child …. it wont be a mistake to say innocent-crazy-but-loving-child who has almost forgot how it used to be when we were child. How we used to feel positive and affection around us. How we quickly run to the person we need but as of now we wear the mask so we cannot straight away run to whom so ever we want instead their are formalities which started nurturing in every relation we make. As in like neither other nor you remember what were you hiding behind the mask from others. For me it depends on my environment of me being affectionate and caring or jealous and cold hearten. I guess someday i will be in such an environment where I don’t have to think and speak each and every-time, Where i can lay my feeling without being judged. Someday…. ❤ ❤ ❤ Thank you for sharing! I love this, 'So, the truth is when we say, “I want to kill myself,” we have it reversed. It is not the “self” that needs to die, it is the “I”. The “I” refers to the ego, the false self, the mask. We need to kill our false self and then the healing can begin.' This is so true. Powerful article and thanks for sharing with the world. It’s comforting to know that all sorts of health issues we have to deal with on account of imperfection will be replaced with perfect health. Thank you for posting. Regardless of how people perceive someone’s background, there should always be help available. The answer to everything…is to receive life in the Lord Jesus Christ. Not religion, not self improvement. But putting one’s faith solely in the death, burial, and resurrection of the Lord Jesus Christ. This is very well-written and powerful post. One of my best friends committed suicide a few months ago. He was from a wealthy family and he had a drinking problem. He was going to be interviewed by a rehab center technician the day after he died. Mental health stigma also kills. He always refused treatment. He didn’t want to take medication. I was the last friend to be with him the day he died. He threw himself out of a balcony 30 minutes after he was with me. I was in shock. I blamed myself for it, which is a normal thing in these cases. I hope he is better now, I hope he found the peace he was looking for.